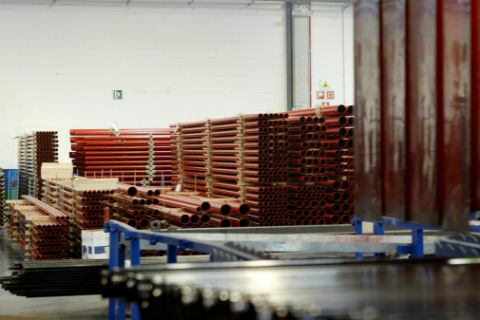 Along with Tubasys in 2003 the first Spanish company of pre-fabricated piping for mechanical installations (Fire-proof protection, Water Treatment; Mining…). Strict production and verification systems entirely automated and robotised, unique in our sector, have earned the trust from our clients, both inside and outside of Spain. We lead the market contributing with our products to the tranquility given by having a reliable system and 100% in accordance with standards, supported in rigorous verification systems and the strictest quality certifications. Our production process is endorsed by Factory Mutual <FM>, being the pioneers in the sector in obtaining such approval. 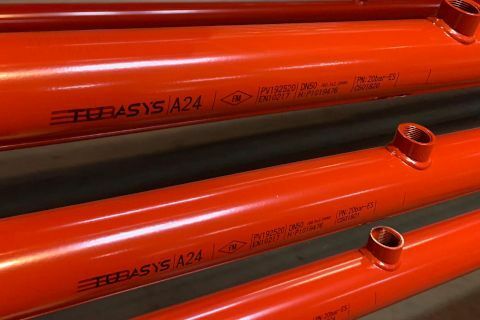 In order to develop the design and implementation of customized projects, TUBASYS’s list of products includes the pre-fabricated piping systems and the grooved accessory, among others. We offer a huge variety of pipe and sleeve diameters: grooved and threaded, in a wide range of finishes, thicknesses and colours of paint. 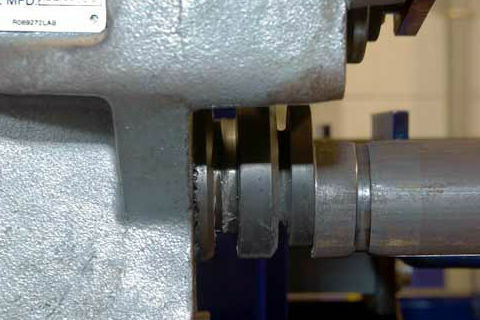 Concerning the grooved accessory, we stock a wide selection of items and references in our facilities. TUBASYS team is also expert in making pre-fabricated pump rooms. We can manage the other equipment supply or components on the customer’s request. Our vast experience in fire-proof protection has allowed us to verify that the assembly work of the sprinklers network requires many qualified professional work hours, which makes labour one of the most important cost on the work execution. 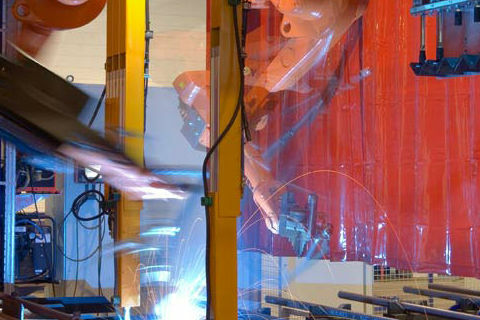 TUBASYS applies robotic technology (similar to the one used in car industry) in production in its factories, obtaining the entire break up of the system. It is not possible to have this kind of technology at the assembly place. Our piping systems - customised- allow a fast and simple assembly, reducing costs and contributing a quality level that cannot be reached at the workplace. 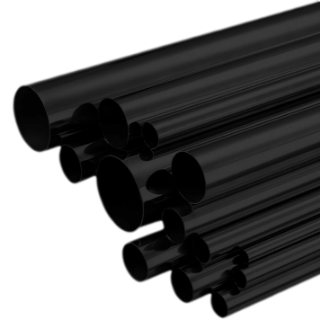 THEY ARE THE PRE-FABRICATED PIPING SYSTEMS. We make pre-fabricated pump rooms up to 24" (600mm). 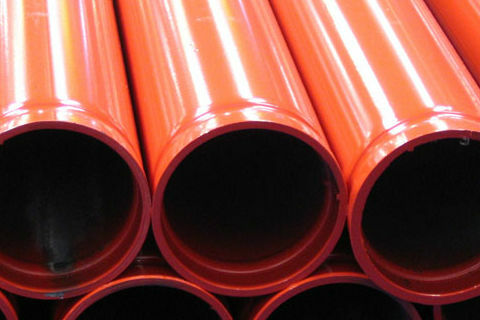 In various grades, carbon steel tube painted or galvanized with welded or grooved union. We carry out the execution and design from the original plan of the room, studying all the variables: space, maintenance, assembly time, cleanliness and organization, among others. In TUBASYS we offer the first rate by finished linear metre, including the entire specification of the processes followed in every stage of fabrication for which we have the exclusive approval from FACTORY MUTUAL <FM>. This on-line table allows both architecture and engineering, to firm up more reliable specifications and budgets by considering the entire fabrication process necessary for the installation of a sprinkler system. • Treatment of the piping with amorphous phosphate that prevents rust and corrosion of the steel and guaranties a better paint adherence. 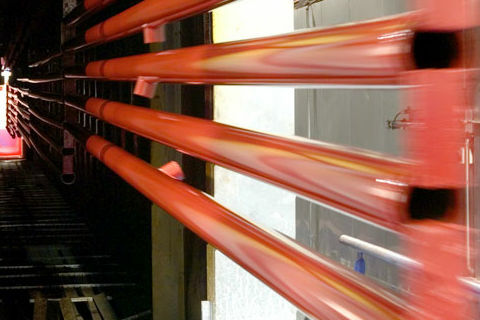 • Painting in automated powder coating booth and subsequent polymerised in a polymerisation oven. • Guarantee on installed product quality. Our team of outstanding professional engineers has over 10 years experience and works closely with our customers to provide the best and most optimal technical solutions aimed at facilitating site installation. 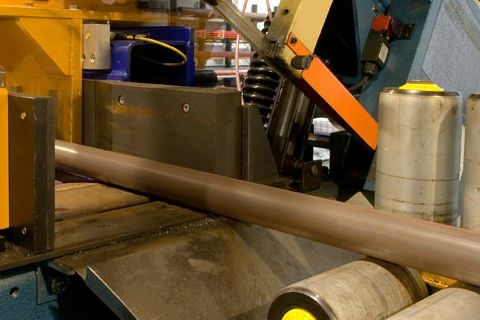 We carry out an essential job at our technical office throughout the process, from the assistance to our customers to the drafting of explosion drawings for production. It is a precise process which is developed following an accurately detailed step-by-step system required for a perfect installation. 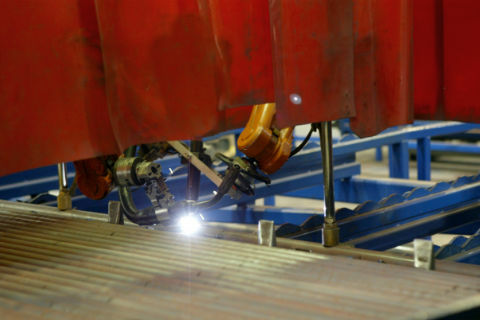 Our production system is based in the customisation of projects, from the break up which have been designed by our engineering team in collaboration with each client, and in a production system entirely robotised, which produce a product ready for the assembly at the workplace, in a fast, clean and safe operation. 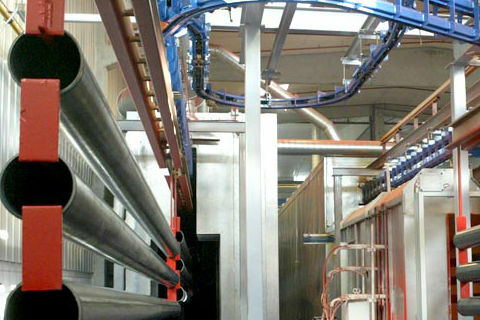 Three robotised and independent production lines at full capacity ensure effectiveness in the supply service which is unique in the market. The Tubasys work form methodology is based on the maximum commitment with the client, in every stage of the design process, production and system implementation. A PREVIOUS STUDY of each installation, allows us to evaluate your needs to DESIGN A SPECIFIC PROJECT to optimise it. We provide the client with all the SPECIFICATIONS and the strictest CERTIFICATIONS of our installations. TUBASYS ENGINEERING TEAM develops a break up ad hoc for each project, prior to the production of a system endorsed by the strictest certifications. This approval endorses the quality and reliability of our systems for engineering and architecture that specify it, as well as for the installers that opt for it, and of course, generating confidence in the end customer. • We were the first and only one company world-wide in obtaining the certification Factory Mutual for pre-fabricated piping. 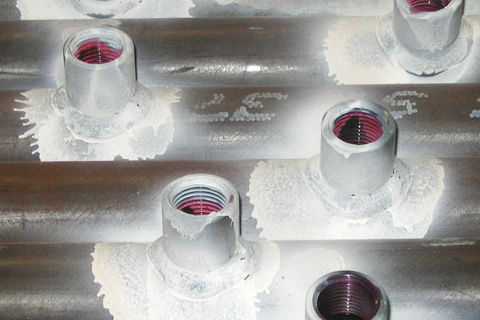 Pre-fabrication of piping accomodates to any type of works. From our technical department we provide solutions to optimise any installation regardless of its complexity.